The parishes on the Gower peninsula originally formed part of the Swansea Poor Law Union. An increase in Swansea's population led, in 1857, to the formation of a new Gower Poor Law Union. The new union officially came into existence on 29th September 1857 and initially comprised the parishes of: Bishopston, Cheriton, Ilston, Knelston, Llanddewy [Llandewi], Llangennith, Llanmadock [Llanmadoc], Llanrhidian Higher, Llanrhidian Lower, Nicholaston, Oxwich, Oystermouth, Penmaen, Pennard, Penrice, Port Eynon [Porteynon], Reynoldston, and Rhossily [Rhossili]. 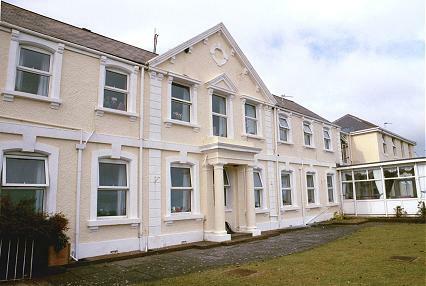 In 1861 a Gower Union workhouse was erected at Penmaen to accommodate 50 inmates. Its location and layout are shown on the 1921 map below. The main building faced to the south and had a T-shaped layout. Gower main building from the south, 2000. A utility block containing boiler house and laundry lay along the north of the site. 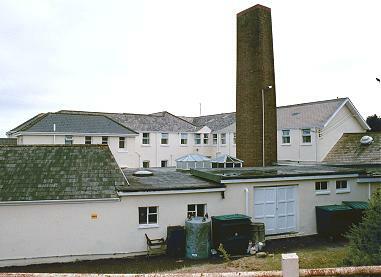 Gower rear of main building from the north, 2000. 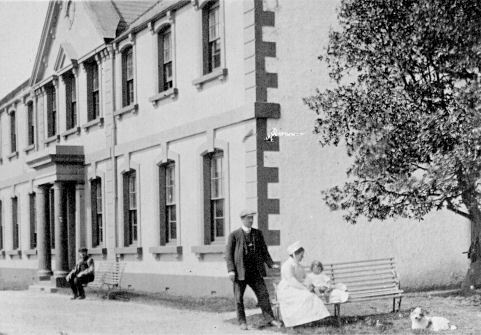 In 1913, William and Rose (née Hoare) Williams were the Master and Matron of the Gower workhouse. Their grand-daughter Veronica McKenzie has kindly provided a picture of them with their son Donald. William, Rose and Donald Williams, summer 1913. The much extended former workhouse building is now used as an old people's home. West Glamorgan Archive Service, County Hall, Oystermouth Road, Swansea SA1 3SN. Holdings include: Guardians' minute books (1896-1914, 1917-1930); Births (1914-30); Creed register (1869-98, 1912-45); Punishment book (1914-23); etc. Ancestry UK currently has Gower Union Creed Registers (1869-1898).